Thrilling music for 10 piece brass and percussion ensemble in the resonant acoustics of the Basilica space! 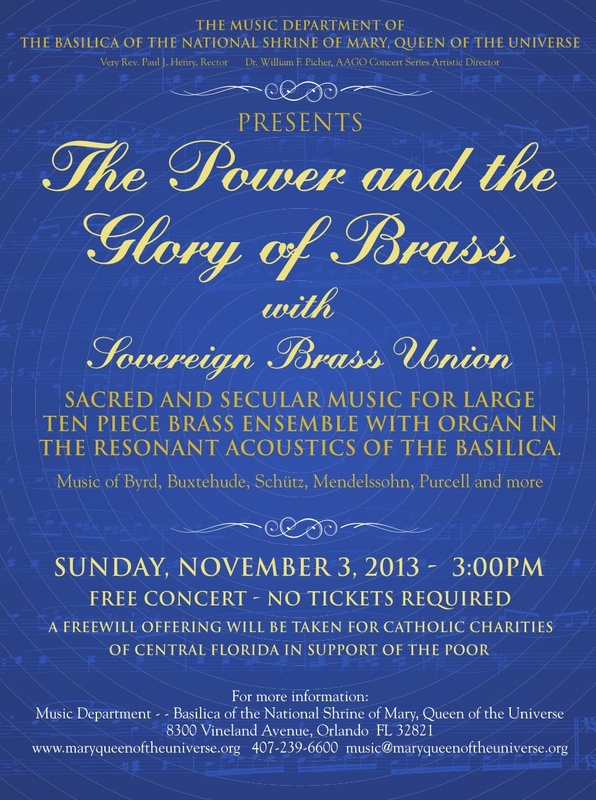 Sovereign Brass Union is an extension of the popular Sovereign Brass, Central Florida’s premiere brass ensemble. Music from Renaissance to contemporary in a thrilling afternoon of exhilarating music! Included will be the world premier of “Rondo Fanfare” by Wm. Glenn Osborne. All are welcome, no tickets required. A free will offering will be taken for Catholic Charities in service to the poor.